Reverse An adult kookaburra sitting on a tree trunk with eucalyptus leaves and a fern and the words "The Australian Kookaburra 1 oz 999 Silver 1990 - 2015" and the mintmark "P25"
An adult kookaburra sitting on a tree trunk with eucalyptus leaves and a fern and the words "The Australian Kookaburra 1 oz 999 Silver 1990 - 2015" and the mintmark "P25"
1 oz 2015 Australian Kookaburra Silver Coin In commemoration of the 25th anniversary of the silver Kookaburra coin the Perth Mint is celebrating by featuring the original coin design from 1990. 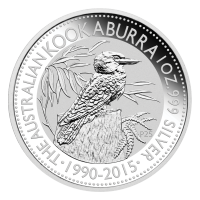 Each kookaburra also includes the years "1990 - 2015" and the traditional Perth "P" mintmark has had 25 added to it. 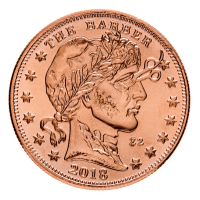 These coins celebrate not only the heritage of the Perth and their twenty five years of mintage but also this iconic Australian bird. 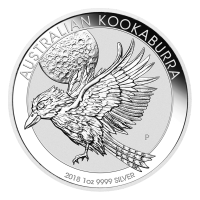 The Kookaburra has become one of the flagship coins for the Perth Mint over the years and it is easy to see why. 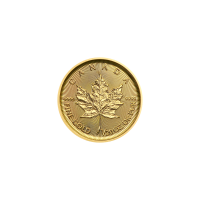 The unique subject, the great quality and Australian character of these coins have catapulted them to the world stage. The obverse features the Ian Rank-Broadley effigy of Queen Elizabeth II and the words, "Elizabeth II Australia 2015 1 Dollar" and the artist's initials. 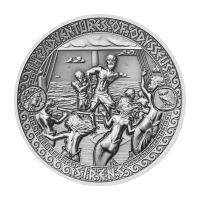 The reverse features the inaugural design of the 1990 Kookaburra silver coin. An adult kookaburra is perched on a tree trunk and is surrounded by eucalyptus leaves and ferns, all local to Australia. 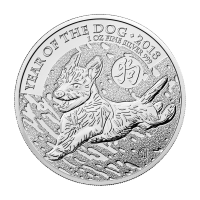 The design layout is the same as the original, but it has kept the improvements that the Perth Mint has added over the years to allow for even finer detail. A double year has been added to further help distinguish it from the original. 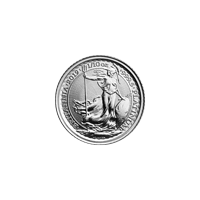 Even the traditional Perth Mint mark has been changed by adding a 25. 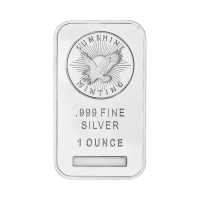 The design is surrounded by the words "The Australian Kookaburra 1 oz 999 Silver 1990 - 2015" and the Perth mintmark "P25". The intricate detail of the kookaburra and its surroundings pay tribute to 25 years of craftsmanship. 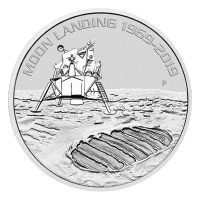 With a limited mintage of only 500,000 worldwide they won't be available for long.